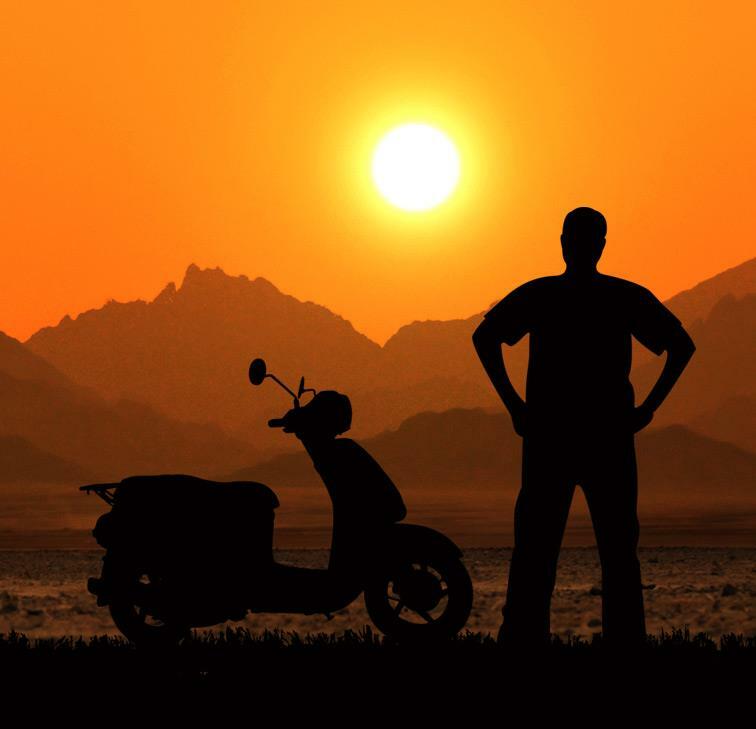 Scooter enthusiasts and anyone with a sense of adventure or passion for doing things differently should take a look at Cross Egypt Challenge. This series of endurance scooter rides aims to promote tourism, alternative sports, and alternative means of transportation in Egypt. 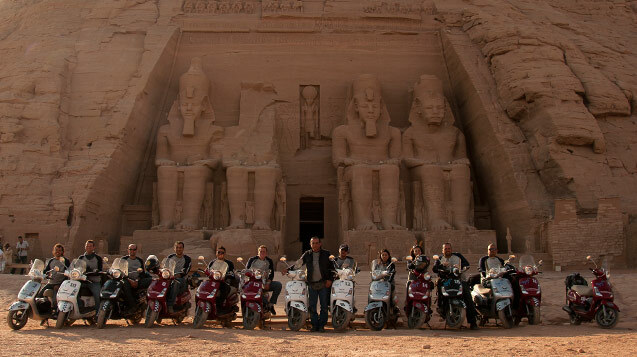 The series started in 2011 and the first challenge was a 9 days ride from the shores of the Mediterranean Sea in the North of Egypt to the temple of Abu Simbel, on the southern borders of Egypt with a total distance of over 1700 km. The 2012 season of Cross Egypt Challenge is planned to take place between the dates of October 12-21, 2012 and will include a rough route of 2400 km through some of the most fascinating places in the western Egyptian desert. The 2012 season of Cross Egypt Challenge will start from Cairo, Egypt’s capital and the home of the famous Tahrir square, then heads north to the cosmopolitan city of Alexandria, known as the Pearl of the Mediterranean, before heading west towards the city of Marsa Matrouh, which has some of the most beautiful beaches in Egypt. The challenge then heads down towards the Sahara desert where the challenge team will ride between Egypt’s 5 famous oasis – Siwa, Bahareya, Farafra, Dakhla and Kharga – before reaching the legendary city of Luxor, the world largest open-air museum. There they will ride down the avenue of the sphinxes to end their long and tiring journey in front of the magnificent temple of Karnak. If you can’t join them on a scooter, but live in one of the places they are visiting, Nature Travel hopes you will give these adventurers a warm Egyptian welcome when they reach your city or town.